Also useful for one-on-one time with teachers, tutors or speech therapists. 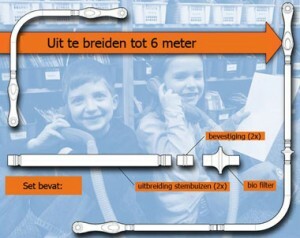 WhisperPhone Duet keeps classrooms quieter by creating an acoustically-clear connection between two readers. WhisperPhone is an acoustic headphone, who helps children of all ages, as well as adults, to hear more clearly. To learn to read, spelling, articulation and the development of the language process. 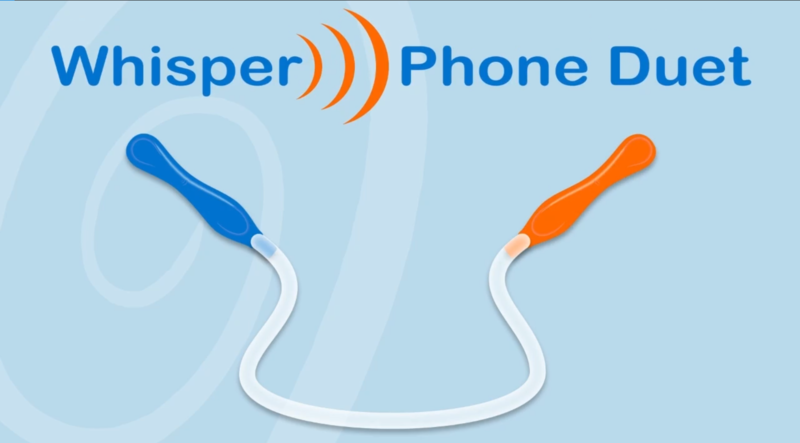 WhisperPhone is fun and easy to use. Research has shown that users (up to 10x) hear more with wearing the WhisperPhone. This means that they can concentrate themselves better without being distracted by background noises. 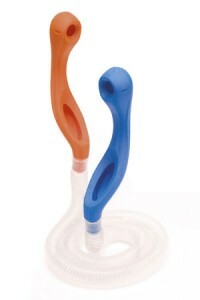 The WhisperPhone works simple and efficient and is left or right useable. 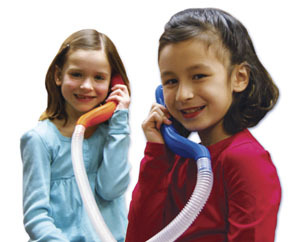 Kids love the WhisperPhone for the fun and adventure! Add more fun to your WhisperPhone Duet! This kit when used with your Duet will increase its length up to almost 6 meter. Just think of the possibilities! Kit does not include Duet endpoints. Duet is a perfect tool for paired reading exercises by encouraging students to work together and help each other learn.